Beautiful vase the Nimble from Present Time. 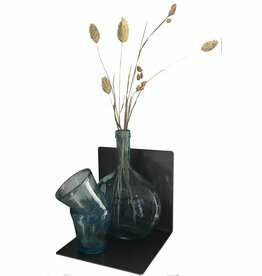 The vase is made of aluminum and has a beautiful brown / hazelnut color. Nice to use for a feather or some dried grasses. Nice in combination with the two of you or the dark gray brother. Vase Nimble, antraciet by Present Time. 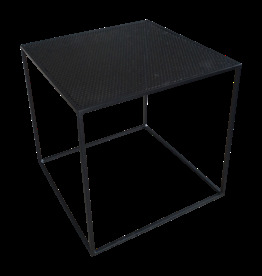 Iron table or side table Juut van Stoer Metaal. 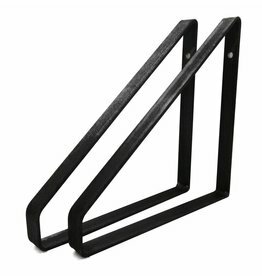 Tough square wall shelf on the wall, color metal. 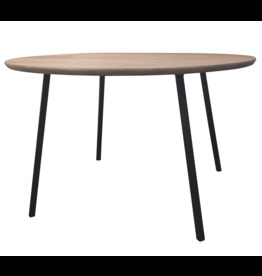 Round table with metal legs and oak top from Stoer Metaal.